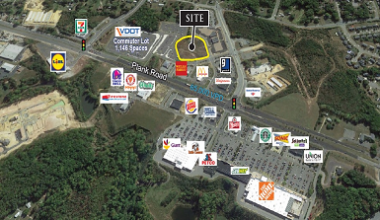 For Sale or LeasePad site on the prominent signalized corner of Jefferson Davis Hwy and Spotsylvania Parkway. Excellent Visibility. Located in Cosner's Corner. All utilities to property with underground storm water management in place. 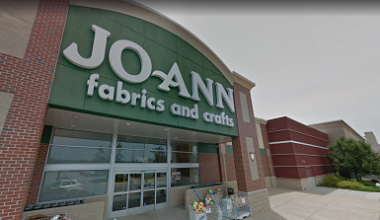 I-1 zoning accepts a variety of uses including retail. Ideal for quick service restaurant. Site adjacent to Goodyear Auto Service Center and Taco Bell. Currently leased (10/1/14 - 9/30/19.) 5,500+/- SF building perfect for a variety of retail, office or light industrial uses. Large open floor plan perfect for a variety of layouts! Front parking and large side parking lot area. Loading dock with on the side with roll-up door perfect for deliveries.Located along Main Street in Blackstone in close proximity to Route 40 & Route 460. Last undeveloped corner at signalized intersection! 3.8 acres located between I-295 & I-95 in Henrico County (Richmond MSA). Multiple uses possible. 33+/- acres Zoned I-1 Light Industrial. Excellent frontage along Route 288 and Whitepine Road. 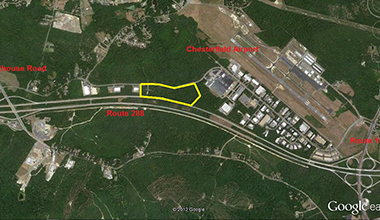 Located within the Chesterfield Airport Industrial Park, conveniently located just off Route 288 @ Route 10. Close proximity to I-95 and easy access to I-64. New Development!! Office pad sites available!! Parking lot in place along with 2 new buildings. Development calls for 5 buildings. Conveniently located at the just off I-95 at the signalized intersection of Wagner Road & Normandy Drive. 62.5+- acres of land with public utilities ready to be developed. Property Adjoins Fort Lee Military Base. It is located along Stedman Drive just off Route 460, convenient to I-95, I-295 & I-85. The property is located in Prince William Town Center, an existing, award winning master planned community. Zoned PMD, site/parking lot in place ready for building construction. Allowable B-1 uses include a 6,000sf restaurant, medical or dental office, or other freestanding commercial. 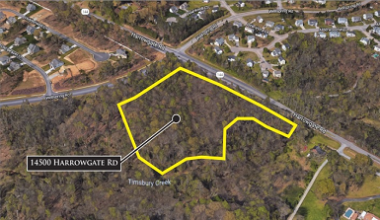 Opportunity to purchase for commercial/residential development, 70 plus acres in Spotsylvania County with 1500 feet of frontage on Lake Anna Parkway. Located directly across from Spotsylvania County High School, the property is currently zoned A3 with higher residential density available upon rezoning. This 1.39 acre parcel is located at the signalized intersection of Old Bridge Rd and Rolling Brook Rd. Highly visible corner with 45,000 vehicles on average passing each day. 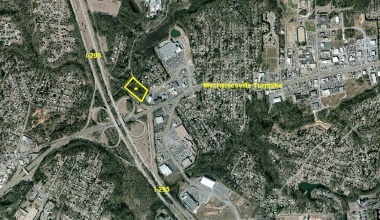 Pad Site on 0.82 acres, zoned PDC-Planned Development Commercial. Site is approved for up to 35,000 SF building. 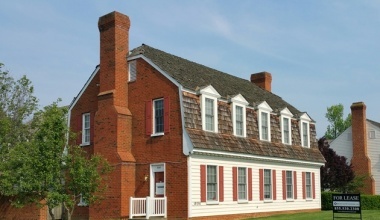 Situated on Government Center Parkway just west of Waples Mill Road. Close proximity to Fairfax County Government Center, multiple retail shopping areas, restaurants, office, residential housing, and other amenities. FULLY LEASEDProfessional office building with office suites available for lease. 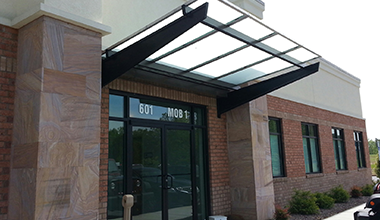 1,650 SF with reception area, multiple offices (former medical). 2,850 SF with reception area, numerous offices, storage rooms and more.Conveniently located along Temple Avenue just off I-95 near the Boulevard, near Southpark Mall and new Kroger (under construction). Conveniently located just off 288/Route 10 in the Chesterfield County Airpark, on the corner of Whitepine Road & Redpine Road. FULLY LEASED 3,000 Square Foot Building located just off the Boulevard comprised of three suites.Conveniently located in Colonial Heights just off the Boulevard between Ellerslie Avenue & Harrowgate Road. FULLY LEASED6,120 SF professional office building comprised of 6 suites.Conveniently located along Route 10 in Chesterfield near the Courthouse. Easy access to Route 288, I-95 and Chesterfield Airport. 5.3+/- acres located at signalized intersection across from Wal-Mart Supercenter and adjacent to Southside Regional Medical Center. Just off I-95, close to Fort Lee, Rolls Royce, Route 460, I-85, I-295 and more. Open space with restrooms, reception and office previously used as a karate studio. Endcap position located on corner at signalized intersection across from Walgreens. Excellent location with high traffic just off I-295 near Fort Lee. Space available in medical office building. 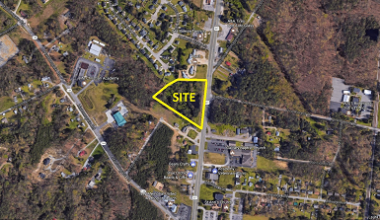 Build to suit available, as well as pad sites for saleConveniently located just off I-95 (Exit 48) at the signalized intersection of Wager Road and Normandy Drive. Just down the road and only a few minutes from Southside Regional Medical Center. 62.5+- acres of land with public utilities ready to be developed.Property Adjoins Fort Lee Military Base. 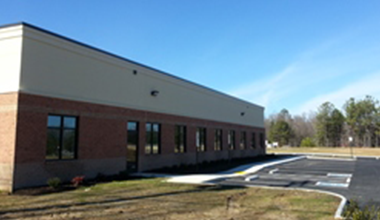 It is located along Stedman Drive just off Route 460, convenient to I-95, I-295 & I-85. 50,328+/- SF Food Lion anchored shopping center conveniently located at the signalized intersection of the S. Crater Road, Sycamore Street & Walnut Drive! !Area Tenants include CVS, McDonald' s, Wendy' s, AutoZone, RiteAid, Walgreen' s and Taco-Bell. 4,400+/- SF office building. 3,200SF available, former medical space, also suitable for a variety of uses.1,200+/- SF of unfinished space. Landlord can build-out the property as needed, final lease rate subject to costs, etc. 1,866 SF first floor space available, currently setup as medical space.Professional office space with excellent exposure and signage!Two-story professional office building just off Route 10 near 288 and convenient to large professional area comprised of numerous national retail and office users. Pylon signage along Beach Road gives tremendous exposure along high traffic corridor. 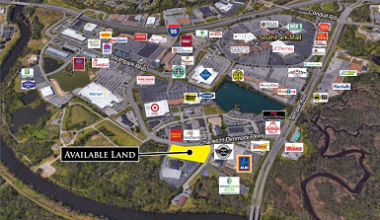 Southpark Mall area site available along Charles Dimmock Parkway, adjacent to Colonial Orthopaedics and James River Cardiology. Excellent exposure at traffic light.Strong national retail & office users in trade area. All or Part available, will subdivide. Large reception area, 5 offices and storage room, bath room and open display area/conference room area. Willing to do short term lease. Extra parking available in adjacent lot.Located on the Boulevard in Colonial Heights next to Care Advantage, South of Harrowgate and North of Ellerslie. Large modern professional office space, with open areas and numerous offices. Convenient to I-95, I-85, I-295, Route 460, Rolls-Royce Facility, two Amazon.com Centers, Fort Lee and Virginia State University. * Class A office space available* Fronting on I-95 near the intersection of I-295* Comprised of open space and numerous offices* Various space configurations available* Controlled access with 24-hour availability* Convenient to Fort Lee, Rolls-Royce, CCAM, Aldi Regional HQ & Distribution, 2 Amazon. 2,800 SF available, numerous offices, conference, break room, restrooms, waiting, reception.Very nice office space in professional building, located just off I-95. Convenient to Fort Lee, Southpark Mall, Virginia State University, Southside Regional Medical Center, Rolls-Royce, CCAM and more. * Land available along Woods Edge Road* Multiple sites available from 1 - 2. * 40,000+/- SF Total - 30,000+/- SF Main area - 4,875 +/- SF Shipping area - 3,000+/- SF Equipment storage - 1,750+/- SF Storage shelter* 9. 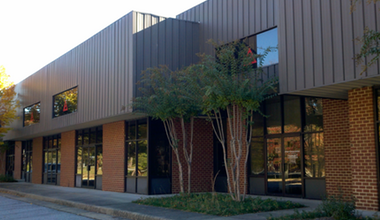 * 40,000+/- SF Total - 37,500+/- SF Main area - 1,875 +/- SF Office area* 4. *Two warehouses and 35+/- acres available, All or Part*Building 1, 40,000 +/- SF, 9.29 +/- acre lot*Building 2, 40,000 +/- SF, 4.35 +/- acre lot*21+/- acre vacant industrial parcel available for development, Public utilities*Located in the Emporia Industrial Park & part of the Gigapark - Virginia's Broadband Region*Prime access to I-95, U.S.
* Lease Term: Lease Expires 01-31-2027* Options: Two (2) 5-year options with increases each option* NOI (current): $430,626.96* Lease Type: NNN* Ownership: Fee Simple* Tenant: Jo-Ann (Nation’s largest Fabric &Craft retailer) Founded in 1943, $2. Two buildings on site which consists of one restaurant and fully leased rear building. Cell phone tower easement with income. Strong traffic and retail area with large pylon signage. Restaurant owner is retiring after long successful career and the restaurant building will be available for new owner. Also, additional land parcel in rear passes with sale. DescriptionCorner location comprised of 3 parcels. Three houses on site currently on short leases. Excellent location among national users and franchises just of interstate and near Fort Lee. 2-acre site in River's Bend area off Route 10 near I-295. Adjacent to CVS & Sheetz. High traffic Route 10 with 41,000+/- vpd. Also available, 1.5 acre site zoned C-5, shown as #3 on aerial photo. Nicely appointed office space with 3 offices, large open floor plan and two entrances, one off parking lot, the other off courtyard. Can be sub-divided into an 800 +/- and 550 +/- space. Tenant pays own electric, internet, phone and janitorial. Sites available along heavily traveled Route 10 (41,000 vpd) in River's Bend area of Chester between I-95 & I-295. Front 1+/-acre site $600,000. Back multiple acres $400,000. Excellent location for restaurant, retail of general office.